Our State Fair was this week. I love the fair. 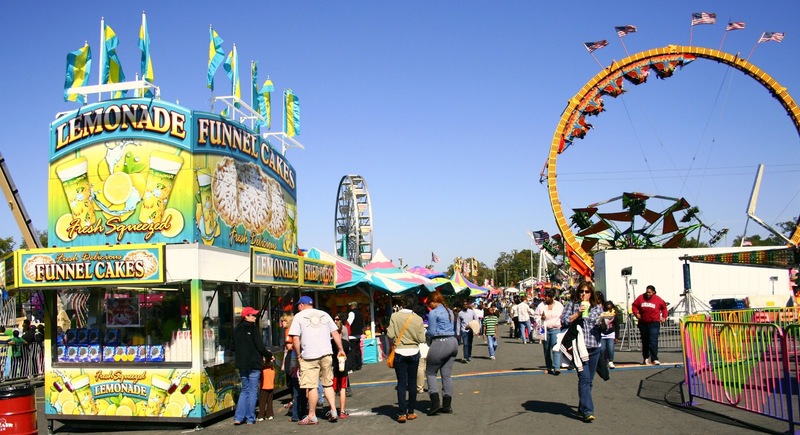 I love all fairs – county and state. I don’t really love the rides themselves (except for the swings and the ferris wheel) but instead I love their lights and sounds, their garish promises of life altering thrills and adventure for only 4 tickets a ride. What I love is the food, the livestock and the arts and crafts. All that “blue ribbon” stuff. 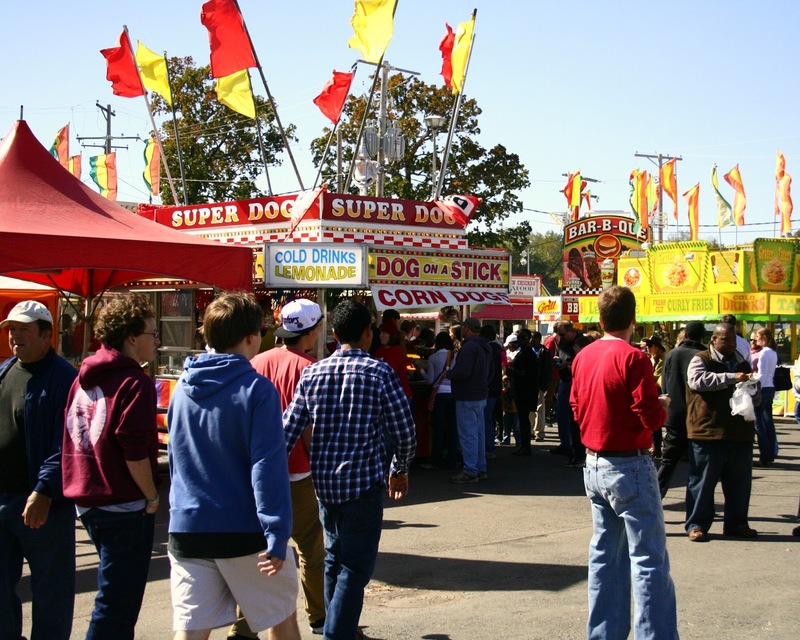 This year, the State Fair had a deal where you could get in the gate and park for free from 11-1 during the work week. On Friday my friend Kim and I took advantage of that great deal and skedaddled on down to the fair (shockingly close to Downtown as it turns out) on our lunch break. 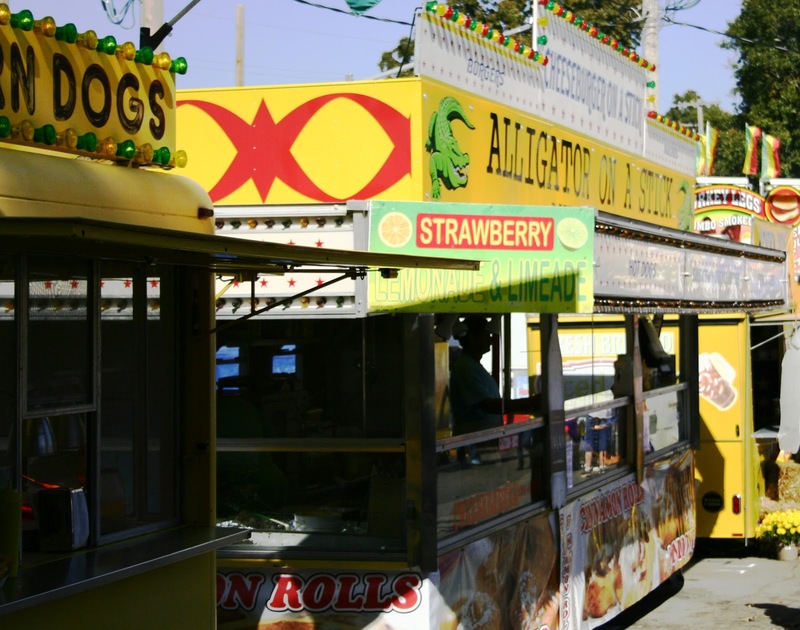 After perusing all our options I came to this conclusion: Fair Food is the new Freak Show. 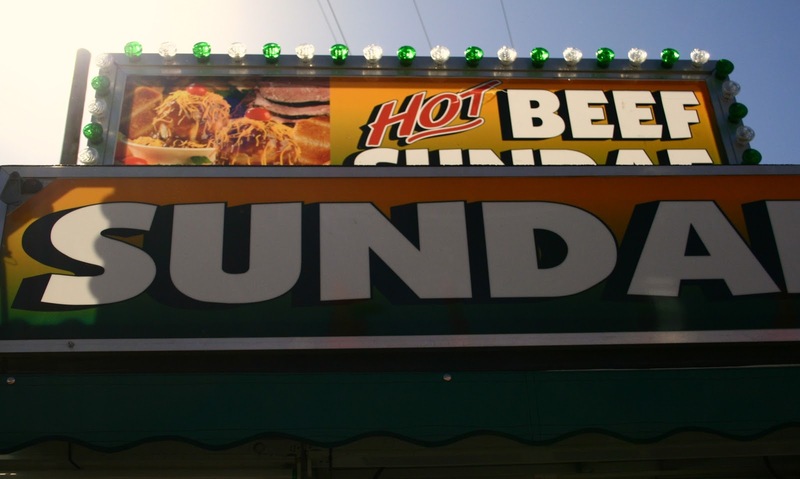 As a society we may all be too wise and too cynical to be taken in, to pay good money to see a bearded lady or a fire eating madam, but we will for hand over our hard earned money to eat ANYTHING, no matter how unlikely, as long as it is deep fried, topped with bacon, jumbo size or just plain crazy. 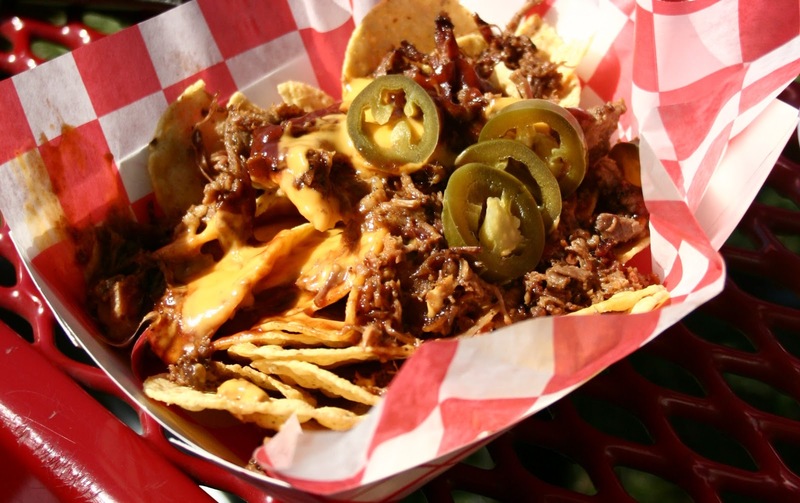 For instance: The Hot Beef Sundae. Now, what this really is, is complete meal (not unlike all the ingredients in a shepherds pie) all stacked and presented like an ice cream sundae. It might taste fine (I did not indulge) but it just looks awful. And crazy. 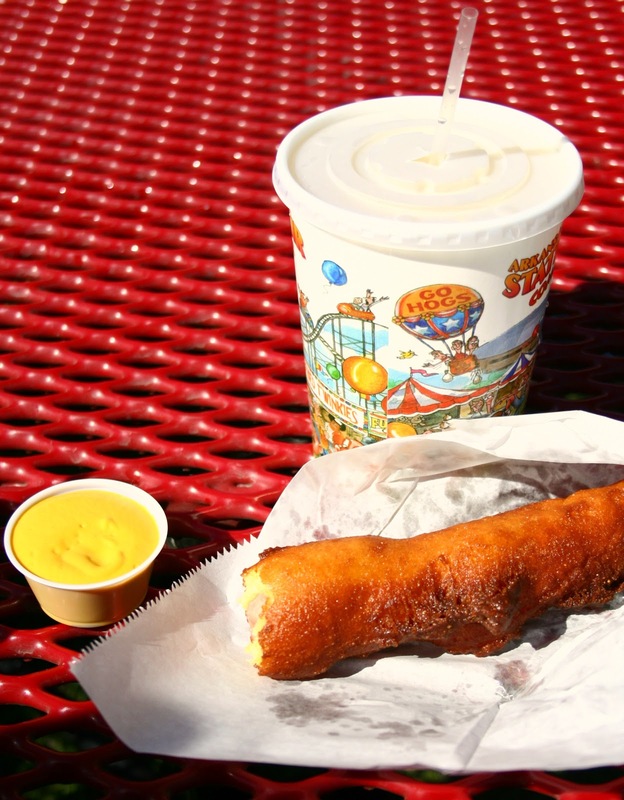 At the fair, the more plain and “normal” a food is the smaller the line. Polish Sausage? Oh, how last decade. 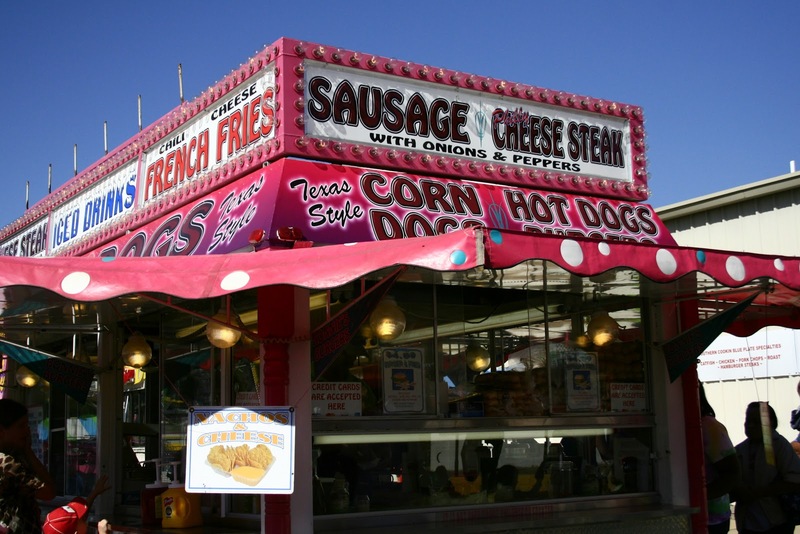 I do not believe in eating anything at the fair that I can any other time of the year. This includes Pizza, Chinese Food, Waffle Cones and Gyros. I also noticed this year that EVERYONE sells lemonade. There was even bacon lemonade this year. Eww. How was that even thought up, let alone followed through on? There is no part of me that wants to drink lemonade. I cannot even imagine. 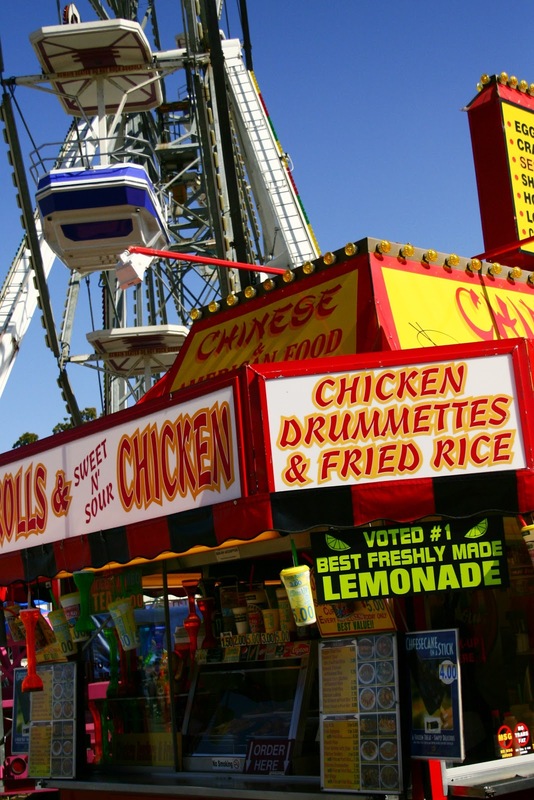 Also, when did lemonade become the unofficial drink of fairs? Has this always been true and I am just now noticing. This year I also felt like there was a turkey leg explosion. 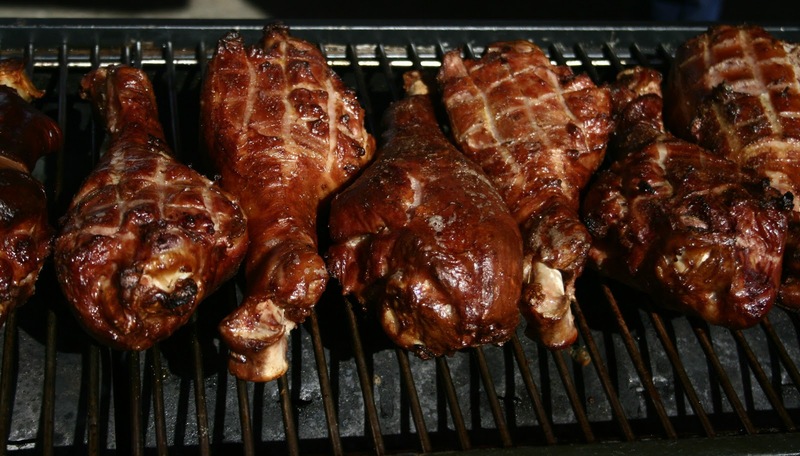 Every time I turned around there was a huge grill covered in sizzling, gigantic turkey legs. They smelled amazing but they were the size of my head. I think teenage boys must be the ones to keep the pizza places open. 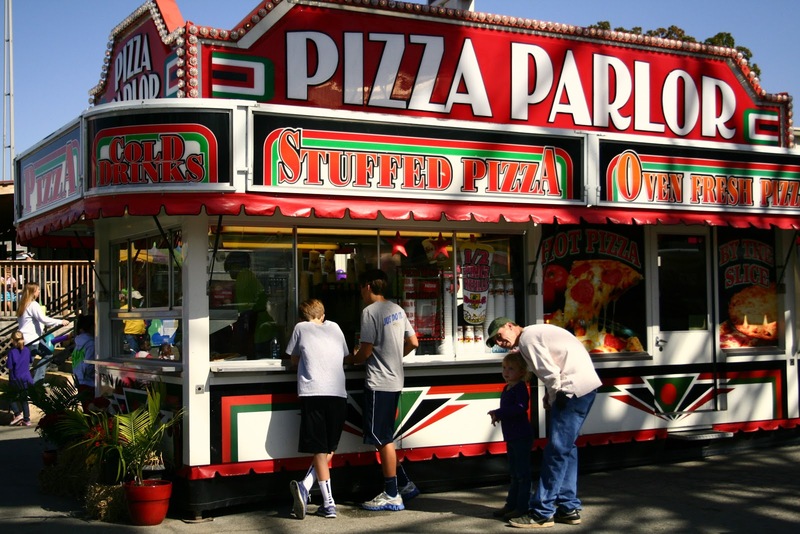 It just doesn’t seem like fair food to me. Maybe if they deep fried it in bacon batter….? 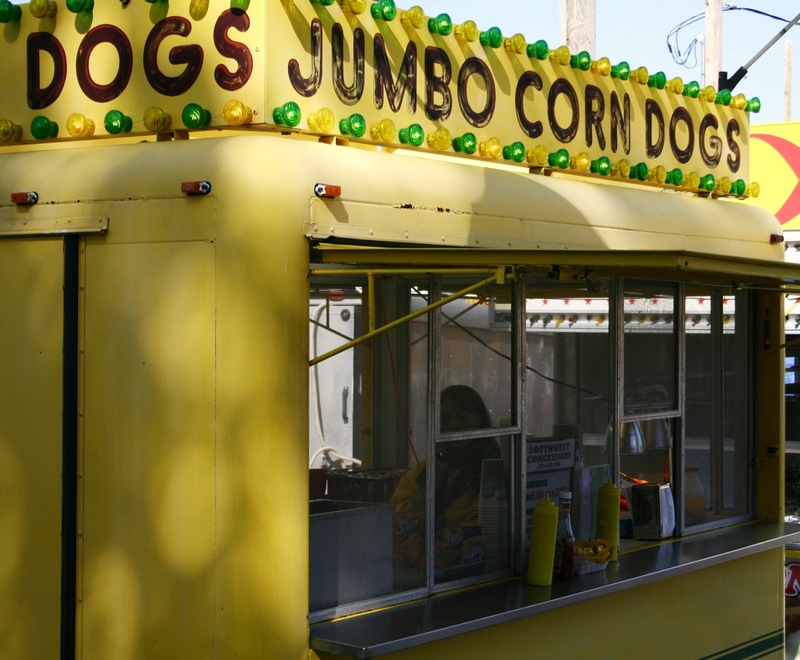 In the end I chose a single jumbo corn dog from this little stand. There was no line (hurrah!) and the little yellow truck looked like it needed some love. I am always a sucker for the under(corn)dog. With a large side of mustard and a jumbo lemonade and I was all set. The corn dog was good- the breading was fried to a nice golden crisp, and I could tell it was hand dipped by how uneven the final crust was. The lemonade was slightly watery and a tad too sweet, but it did have almost a whole squeezed lemon in the bottom. Kim had the BBQ Nachos (another fair food side show- Nachos of many varieties) and I guess they were yummy because she ate them all. They actually didn’t look half bad. I am pretty loyal to the Funnel Cake, but it is what I always get. This year I decided to be wild and crazy, to try something new. What a dumb idea. The pie was store bought quality, dipped in a batter, and and drowned and rescued all too quickly from vat of old tasting boiling fat. Even though I waited the 4 minutes after I got my pie before taking the first bite (as instructed by the lady taking our orders,) the batter still had not cooked all the way through and was runny in places. Also it tasted so much of baking powder that I couldn’t suffer more than two bites. And the batter that had cooked was soft and heavy, not light and crisp as I had expected. I think from now on I will stick to the funnel cake, my trust ole pal. 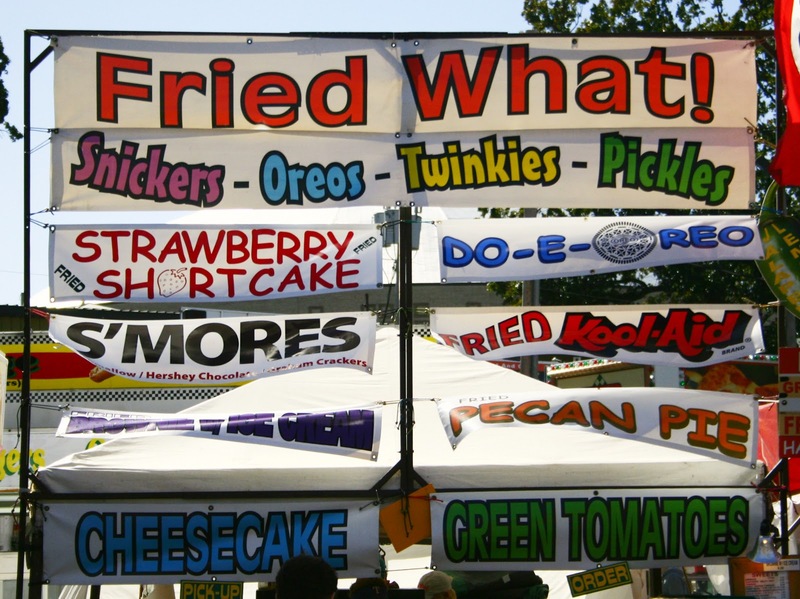 Even though I get the appeal of all of these freak-show types of foods, what I really wish is that I could try the foods entered the various competitions. I want to know, how does one become a judge for that sort of thing? 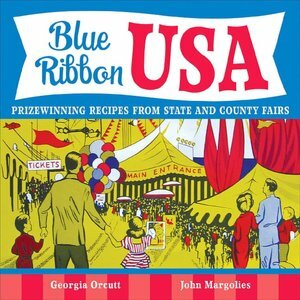 Luckily my friend Melissa picked up this great little cookbook for me so that I can test out the best recipes from State Fairs country wide. I have already made South Dakota’s Pumpkin Streusel Sweet Rolls with much success. Next I am hoping to try Jackpot Cherry Pie (Arkansas) and Squash Pie (Maryland) – perhaps for Thanksgiving? 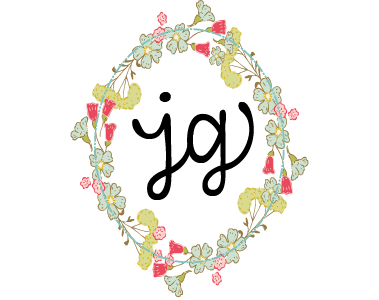 Maybe I will even event a new pie or type of jelly to enter into next years competitions. Now wouldn’t that be fun? I would have totally taken that pie back and complained. Made a big ole stink till you were dragging me away in embarrassment. Lol. 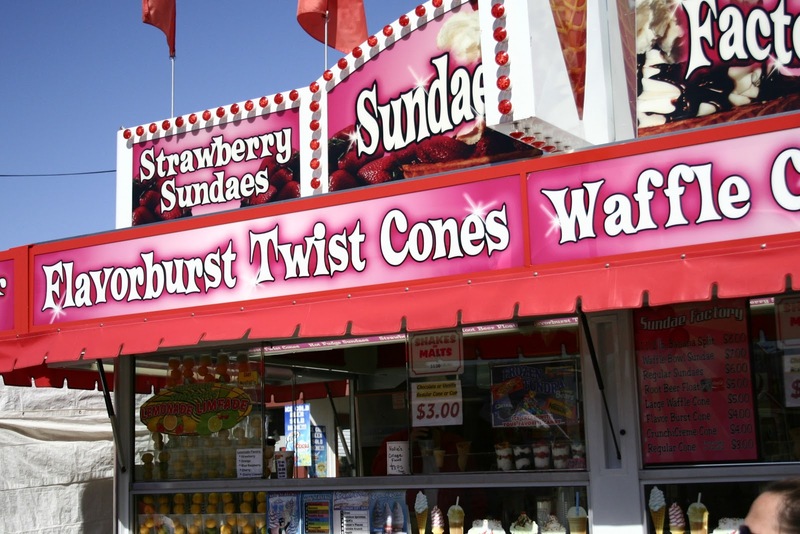 But I was much disappointed with all foods at the county fair this year as well as the inside ribboned entries. Now the goats and chickens were perfectly entertaining as usual. 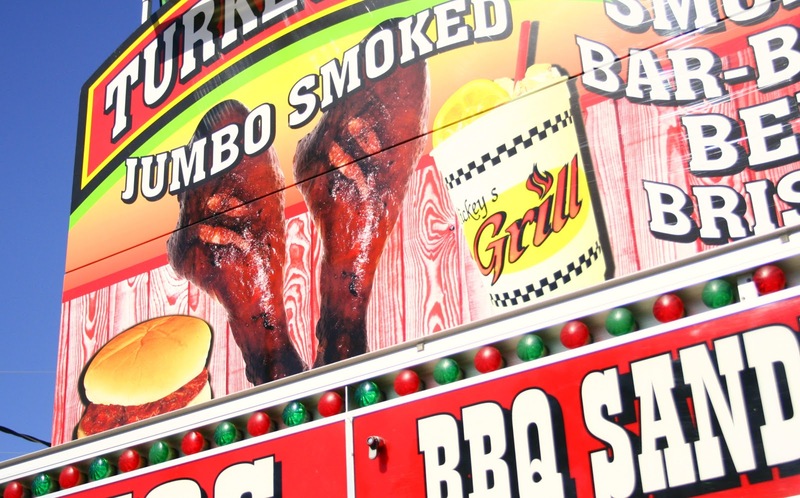 I went to the NC state fair yesterday and we actually had very few (if any) jumbo turkey legs. I'm really disappointed. Still lots of roasted corn. 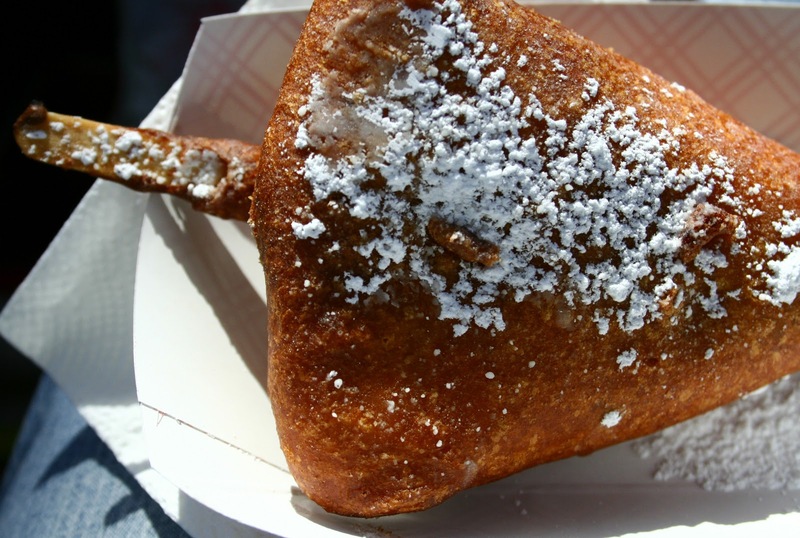 The crazy deep fried mess this year was deep fried PB&J. I stuck with a jumbo corndog. 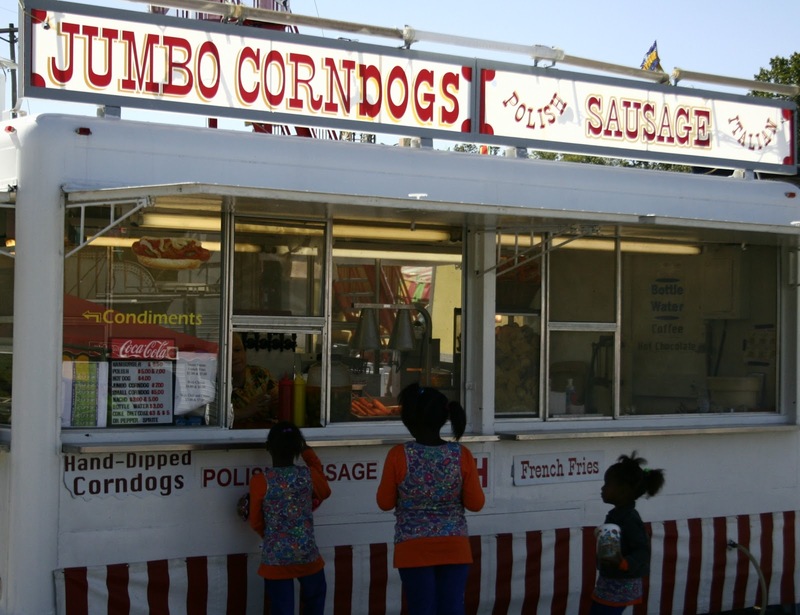 What makes a corndog/hot dog Texas style? We have Carolina style burgers/dogs that are mustard, onion, chili, and cole slaw. I'm totally with you on ignoring food I can get anywhere else at any time of year. I love you photos. They are so happy looking. Too bad about your fried treat debacle. That just stinks! Do you know know I have NEVER been to our state fair (Kansas)! I wonder what is in your cookbook from Kansas?